In this episode Jason covers an assortment of topics. First he briefly covers cage-stage Calvinism, then he goes into a lengthy conversation that occurred back in Oct 2015 on Twitter with a Roman Catholic on Mary being our mediator. After that discussion Jason goes into a discussion with an agnostic/atheist on morality and how the Triune nature of God must be assumed to provide a justification for objective morals. We look into how this distinguishes presuppositional apologetics from evidential and classical apologetics. 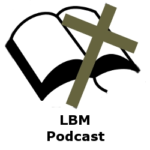 In this episode we discuss the Roman Catholic Church and their worship of Mary. We discuss the four Catholic dogmas on Mary in the Catholic Catechism and the fifth proposed dogma. We also go through the Marian apparitions in Guadalupe, Fatima and Medjugorje and what the apparitions say in comparison to the Word of God. Are you a Roman Catholic? That what Roman Catholics teach is true? You may be very surprised when you compare what you know and believe with what the Word of God says. 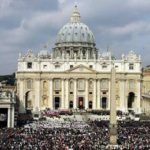 In this episode Jason discusses the latest infatuation the media and the Evangelical Protestant Church at large has for Pope Francis. We discuss the Protestant Reformation and the reasons for it. We look into what the Roman Catholic Church still teaches today and whether it is consistent with what the Bible teaches. We compare the Biblical Gospel to the teachings of the Roman Catholic Church. In this episode we discuss demonic exorcisms, Roman Catholicism and the naturalistic assumptions of old earth and theistic evolution positions.